But as all you groovyReaders out there know, I hate paying full price for anything, especially since with a little digging you can generally find a discount on just about everything! For example, back in September 2009, I talked about the college student discount for Microsoft Office 2007 Ultimate where students could grab a copy for just $59.99. Well, this time the discount is as good or perhaps even better as in FREE for those of you who’ve recently purchased a copy of Microsoft Office 2007! It’s all thanks to the Microsoft Technology Guarantee, which allows anyone who bought a Microsoft Office 2007 product between March 5, 2010, and September 30, 2010, to get a Microsoft Office 2010 free. There are some caveats, qualifications, and eligibility requirements. For example, if you got your copy through the Home Use Rights program or via an unauthorized reseller (i.e., eBay or The Pirate Bay), then you’re likely out of luck. Customers who got a discounted Microsoft Office 2007 edition through a Student Select program other than The Ultimate Steal (the groovy deal linked above) aren’t officially eligible for the free upgrade through the Microsoft Technology Guarantee program. But they are still entitled to a free copy of Office 2010 through their reseller. If you got it at a school bookstore or from OntheHub or JourneyEd, you’d have to get in touch with them to get your free loot. And so on. Furthermore, if you have any individual Office 2007 products included in the Office 2010 bundle, you are eligible for a free upgrade of that. So, if you have Microsoft Word 2007 sans the entire Office 2007 suite, you get Microsoft Word 2010 for free. The same goes for Outlook 2007, Excel 2007, Access 2007, etc. Just like you can install your Office 2007 on up to three computers, the same applies for your free downloaded copy of Office 2010. If you haven’t activated your copy of Office 2007, you’ll have to do so before getting your free copy of Office 2010 (you still have the product key handy, don’t you?) You’ll also have to cash in on your offer before October 31, 2010. For more information, read the Microsoft Technology Guarantee FAQ. But what if you missed the boat? If you were either too early (i.e. bought your copy before March 5) or too late (haven’t bought a copy of Office 2007 yet), then all is not lost. Remember that they said that any Office 2007 product bought between March 5 and September 30, 2010, is eligible. We’ve been scouring the Internet pretty hard for any remaining copies of Office 2007, and they are hard to find. Most of the official channels have yanked their copies down, but there are still two left on Amazon, last time we checked. Plus, you can probably still get them from your campus bookstore or some other brick-and-mortar computer shops with boxed versions of Office 2007. Of course, you want to make sure that you’re getting a genuine product—one that has a product key and isn’t marked “not for resale”—and you’ll want to make sure you’re actually getting a deal. The pricing on Microsoft Office 2010 is pretty competitive, so working the system may not even be necessary. For example, Amazon and Newegg are both offering Microsoft Office 2010 Home and Student for $129.99—which is $20 less than retail. So, savvy consumers who bought Office 2007 back when it was $59.95 pat yourself on the back—you’re saving tons of money. But for the rest of you, don’t despair—there are still ways to save, especially if you get your hands on a copy of Microsoft Office 2007 for a decent price. 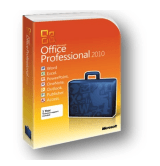 Know of a place where Office 2007 is still on sale for cheap? Let us know in the comments. Office 2007 is still working just fine for me. Thnx for the info but I’m going to sit tight until I find something that excel 2007 can’t do for me.